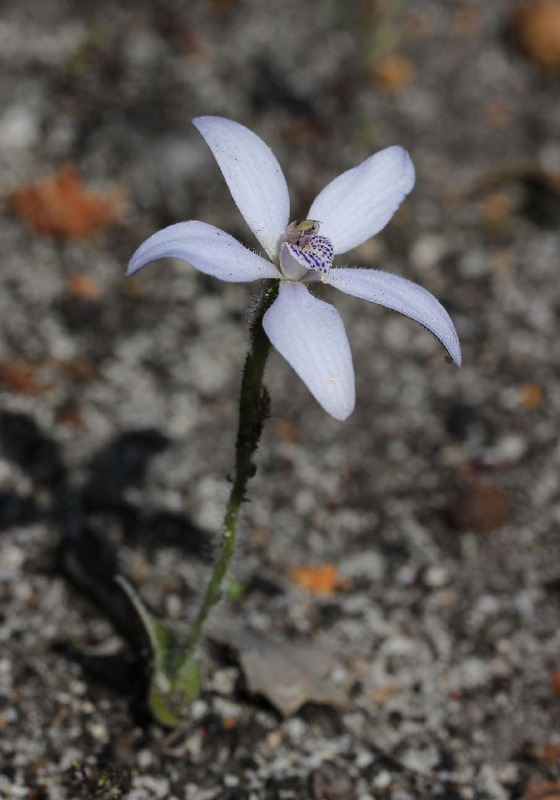 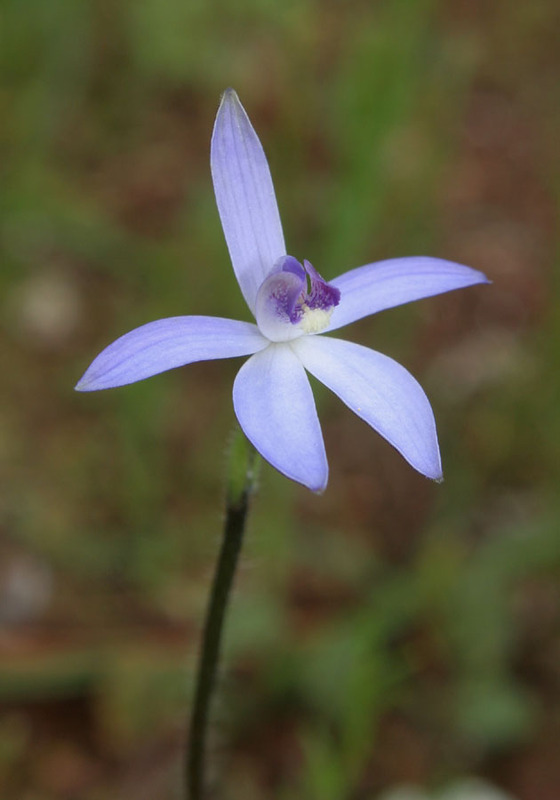 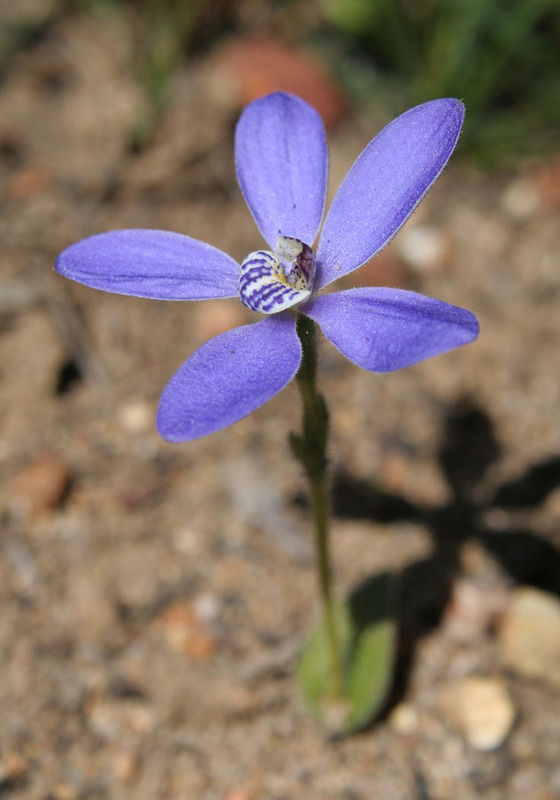 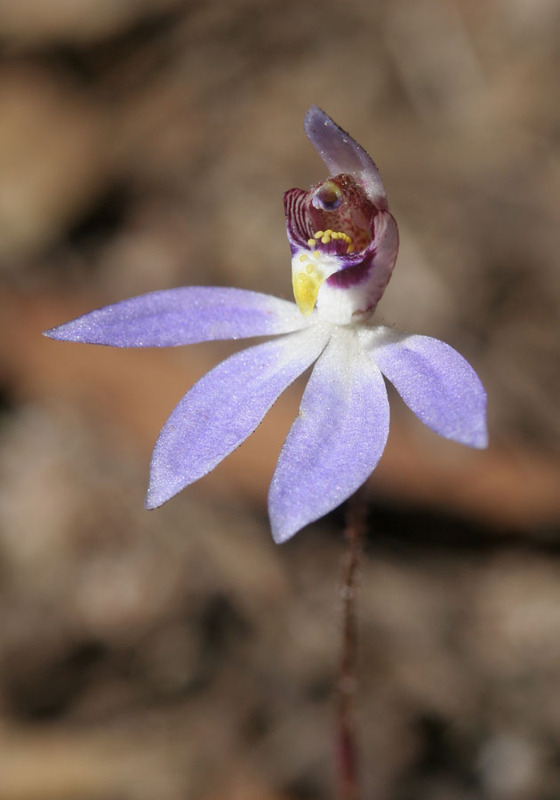 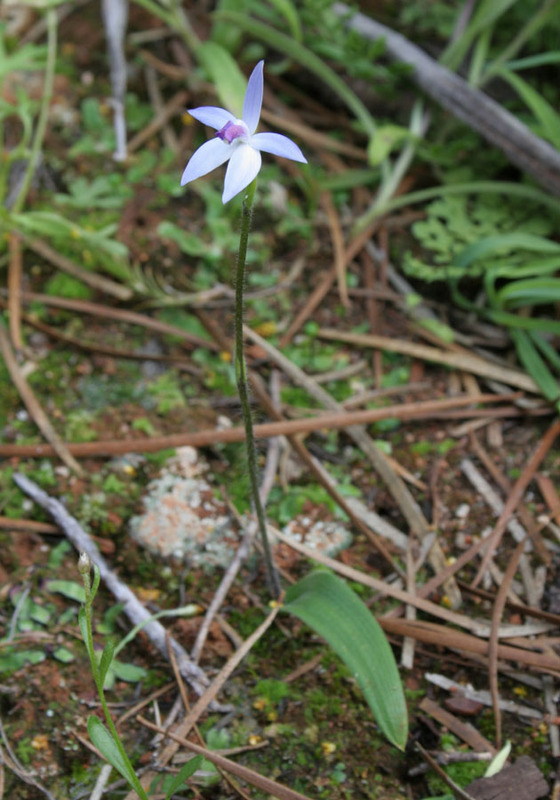 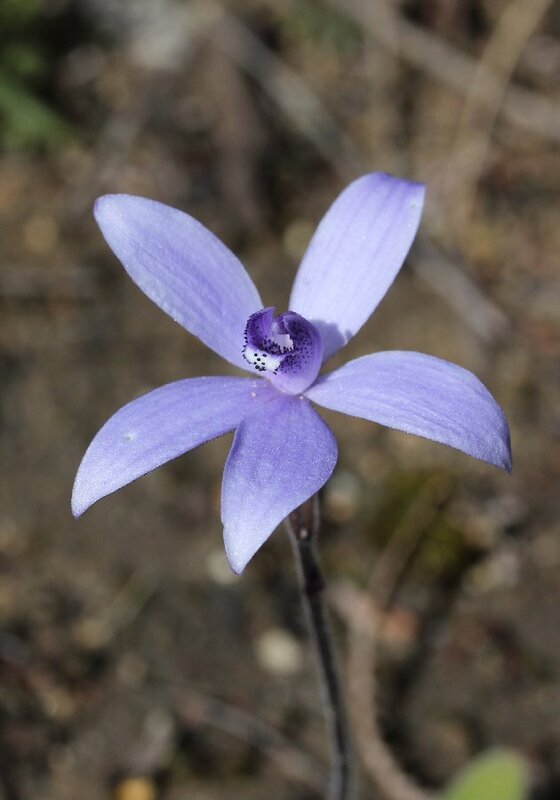 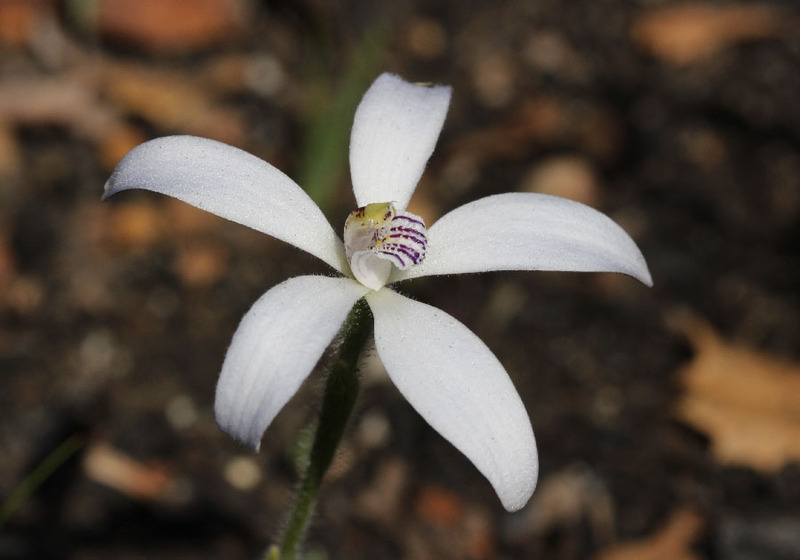 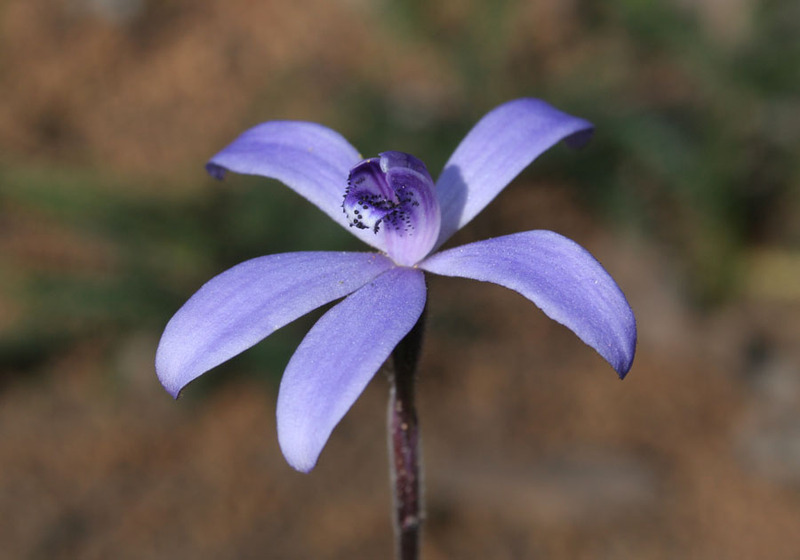 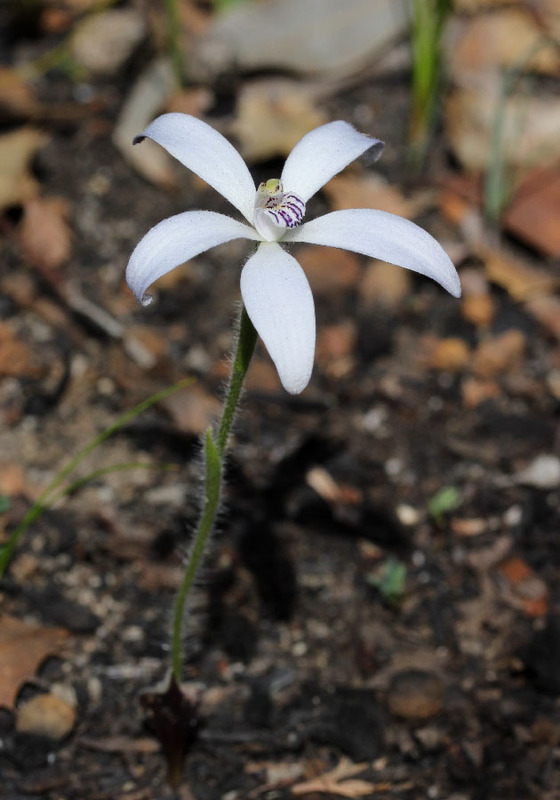 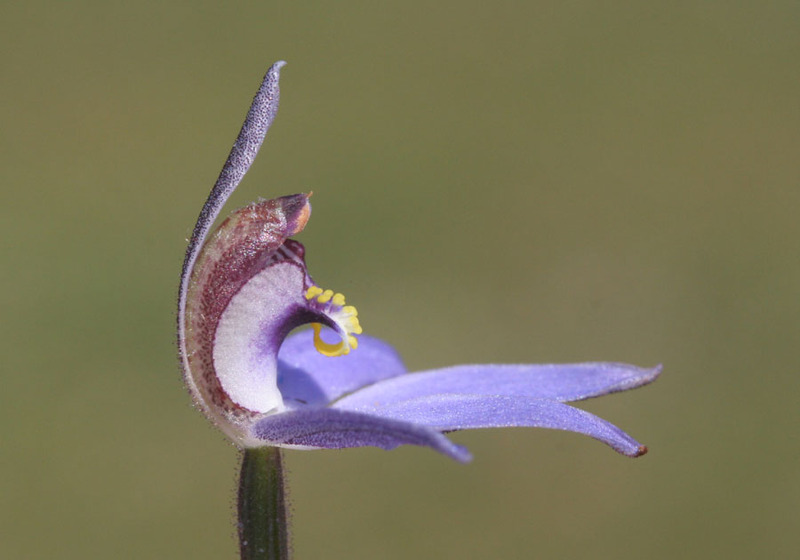 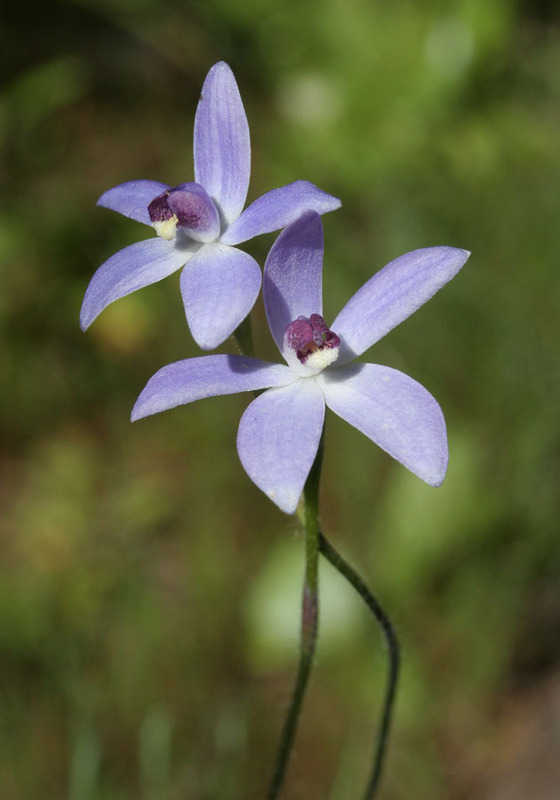 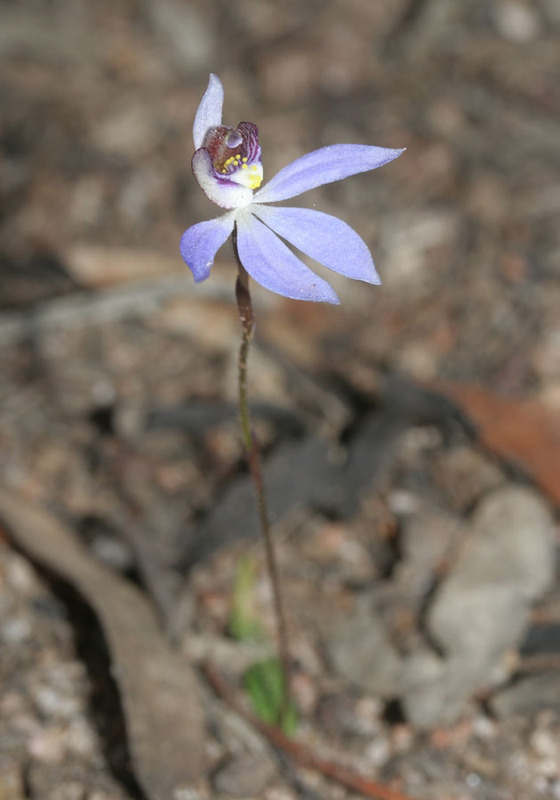 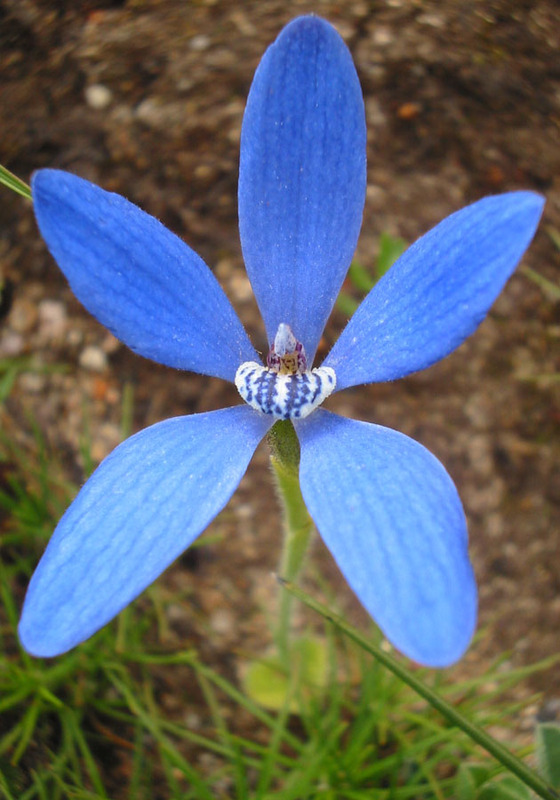 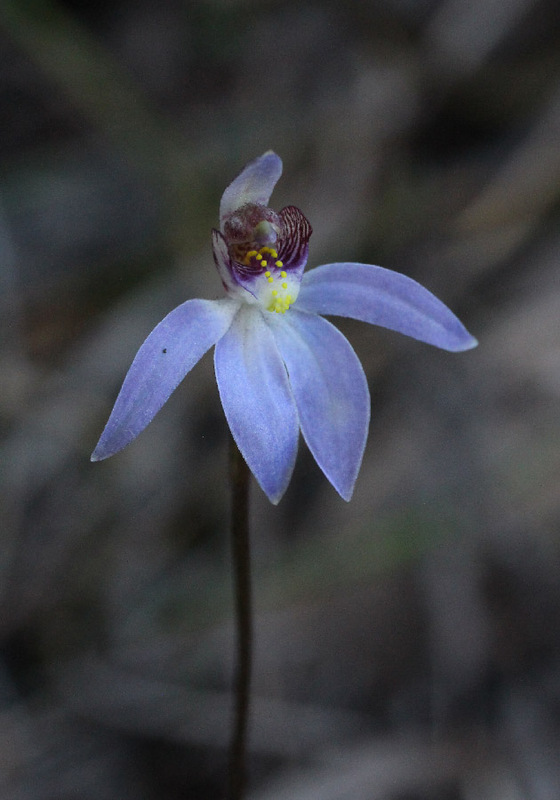 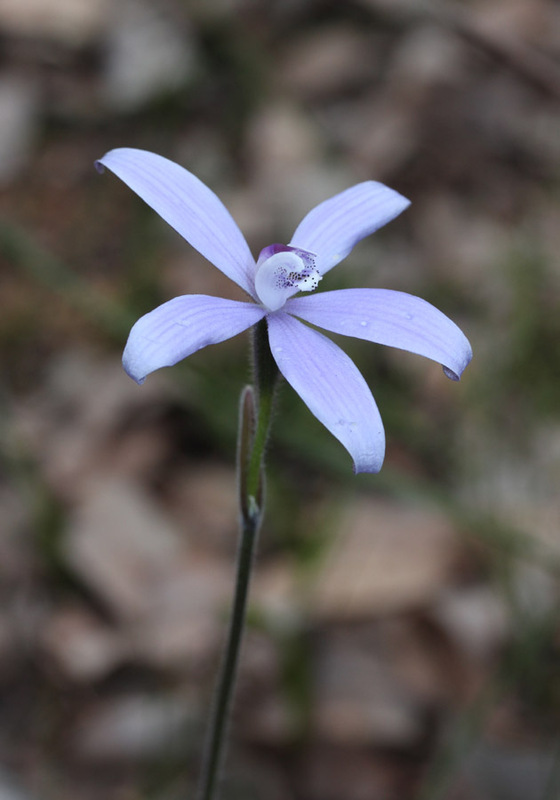 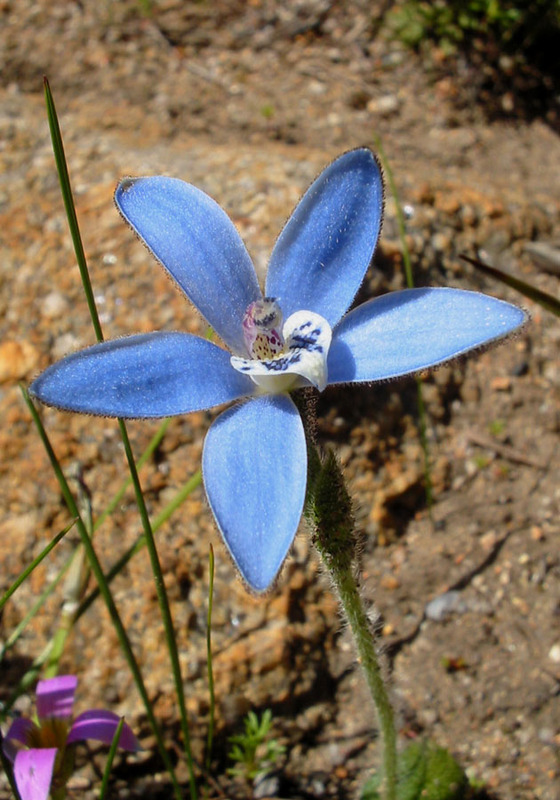 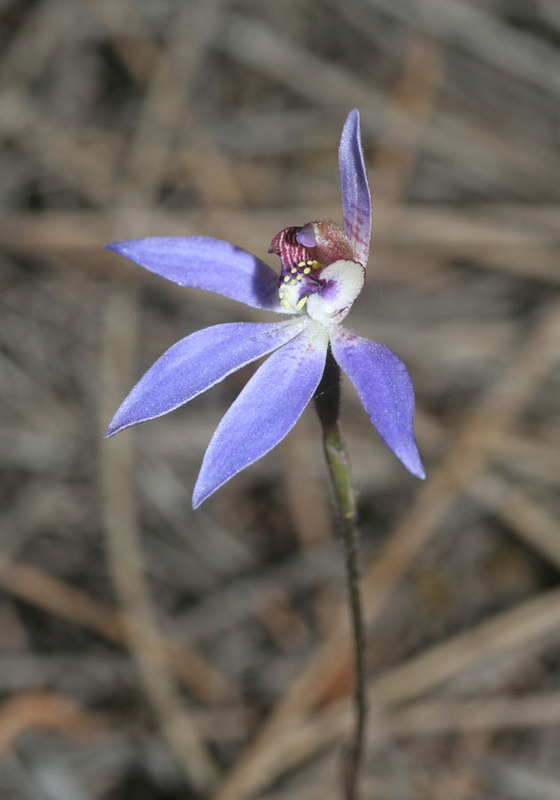 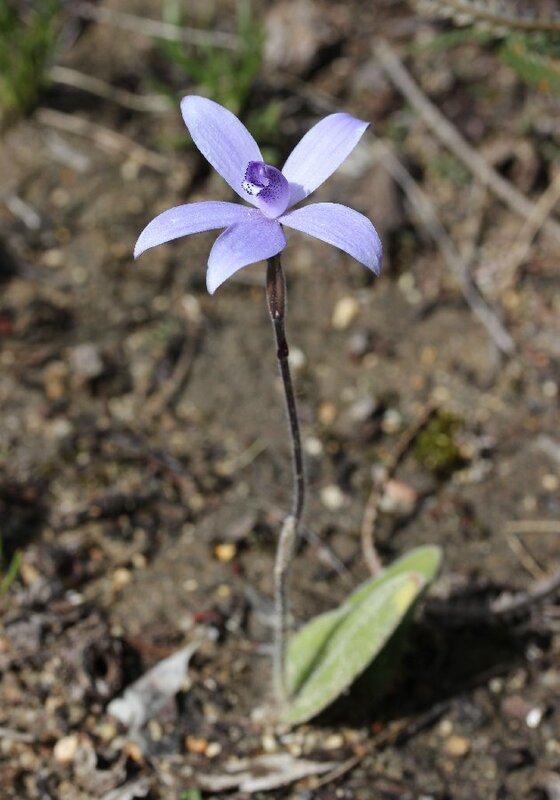 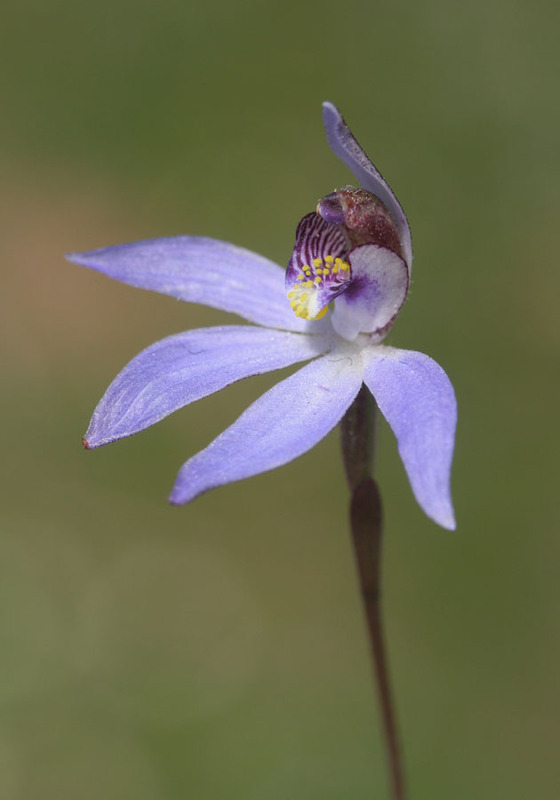 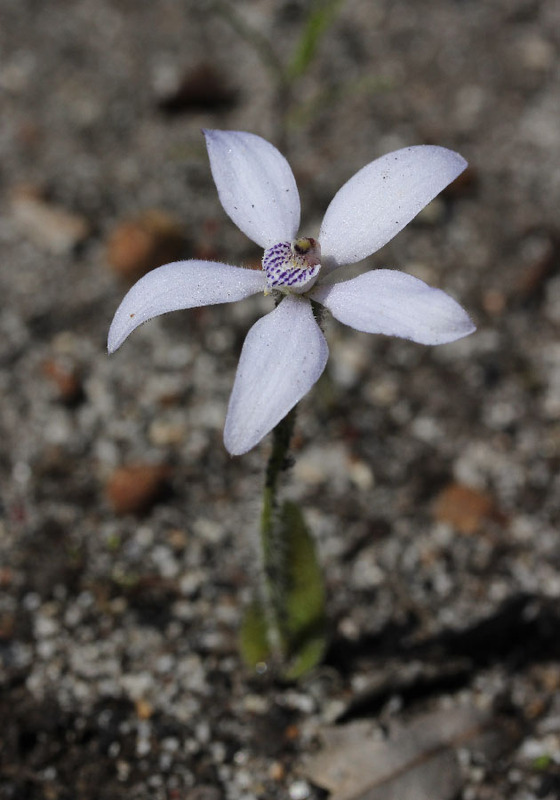 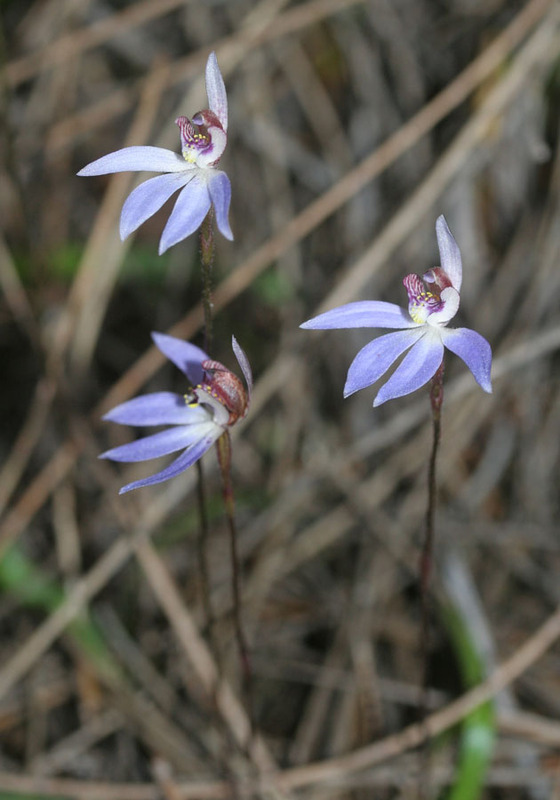 Cyanicula - the blue orchids, are a group of about ten orchids previously placed in Caladenia. 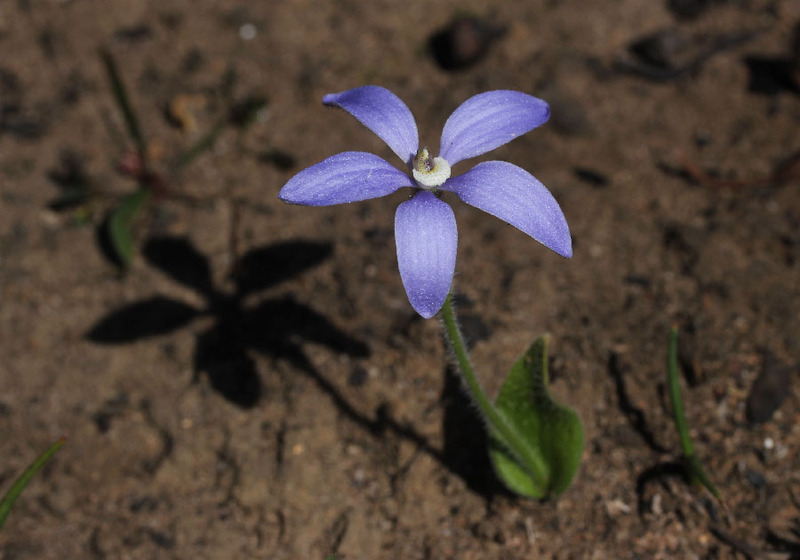 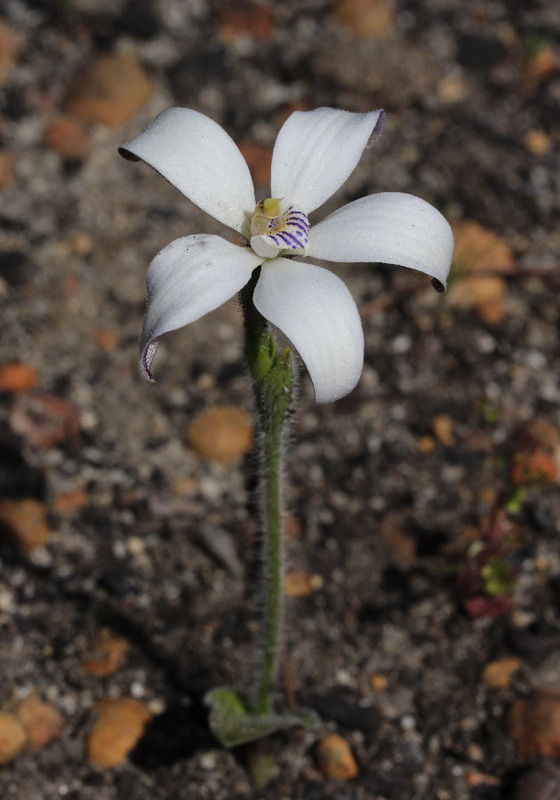 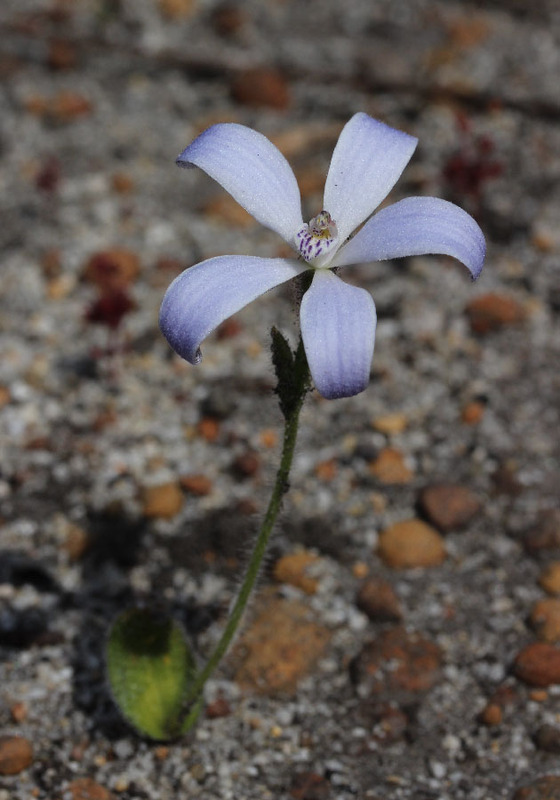 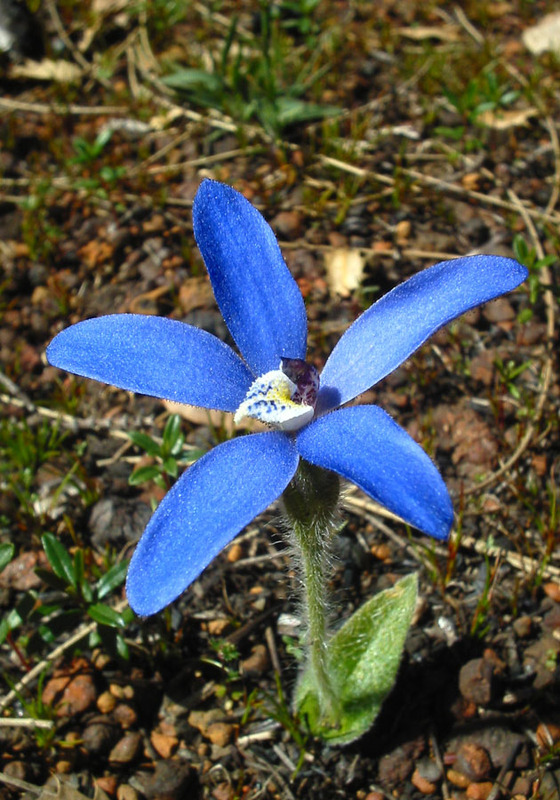 Cyanicula deformis (Blue Beard) was also included in this genus, but has more recently been reclassified again and is now known as Pheladenia deformis. 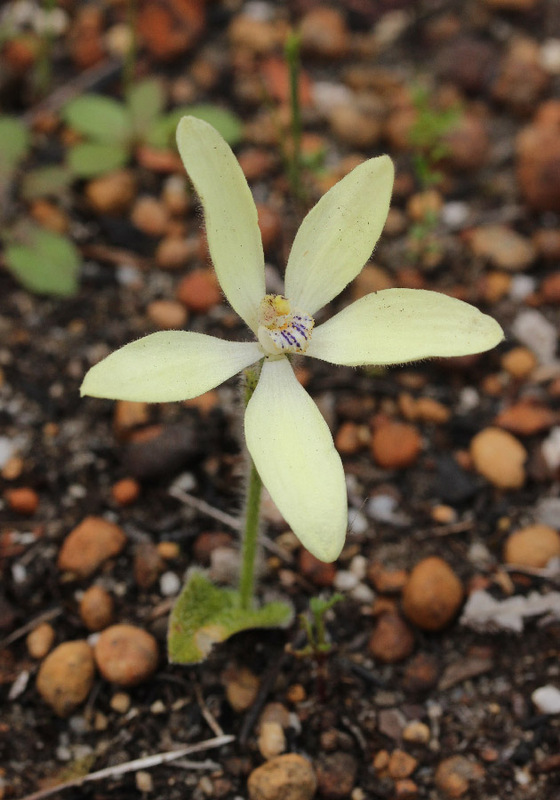 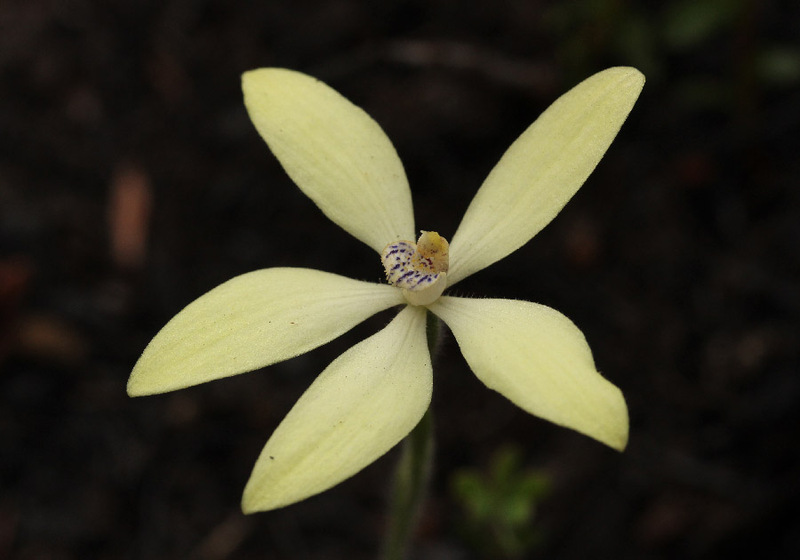 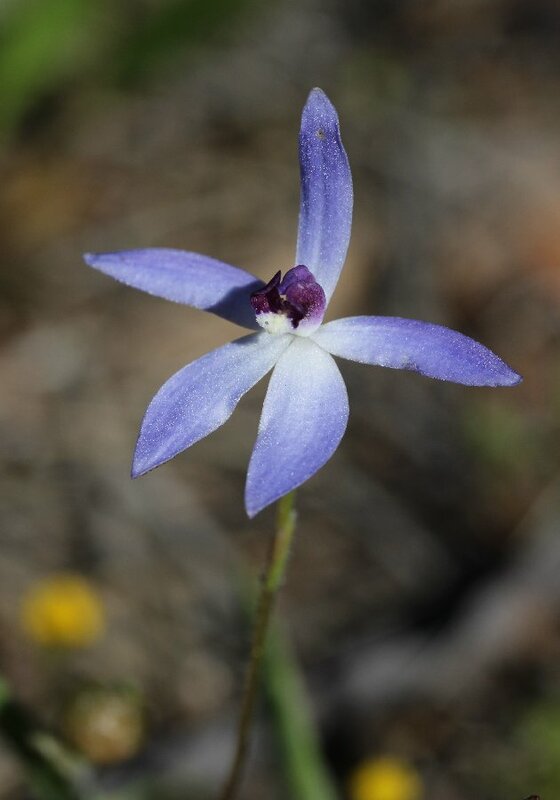 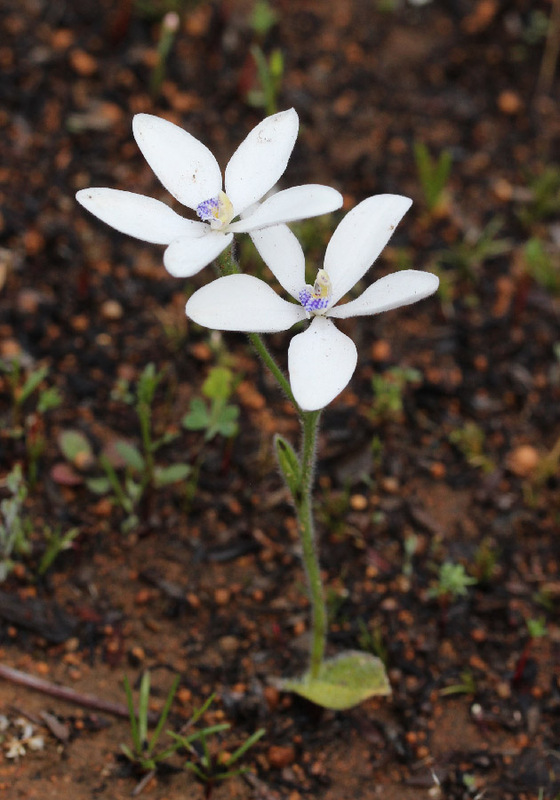 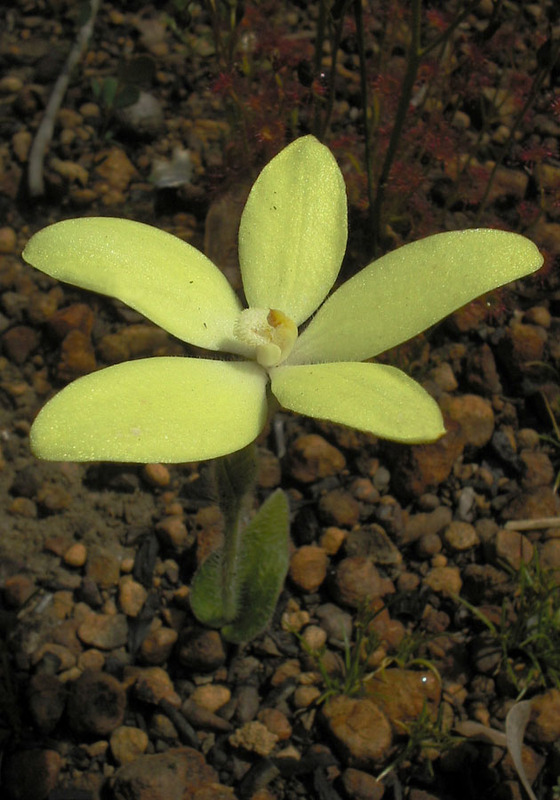 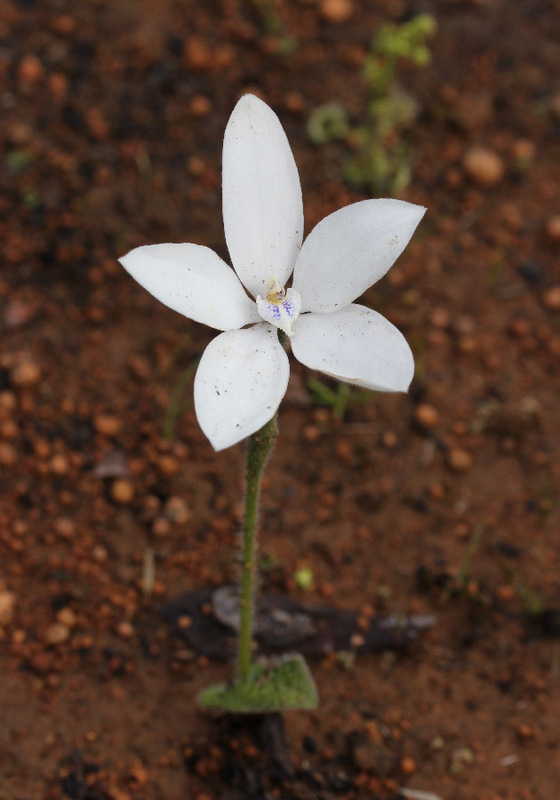 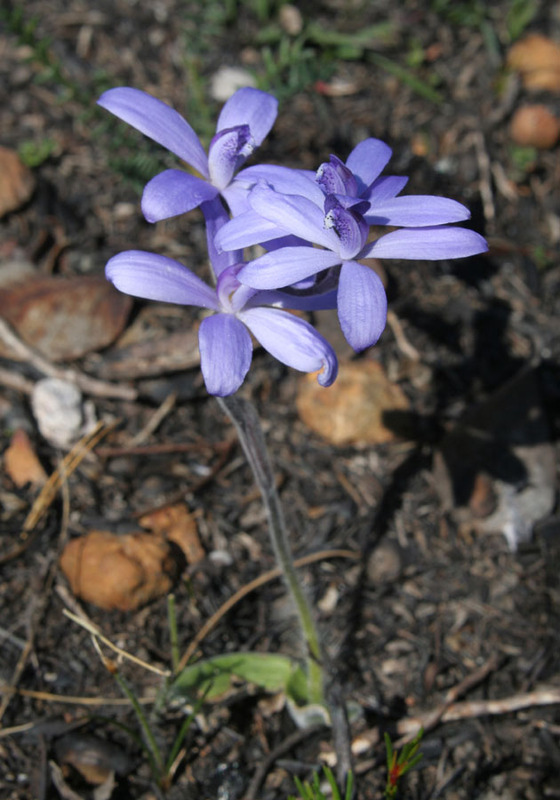 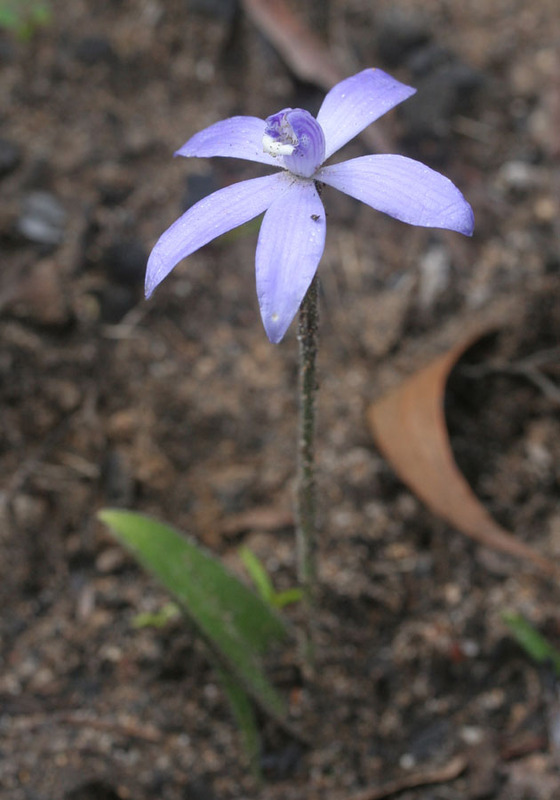 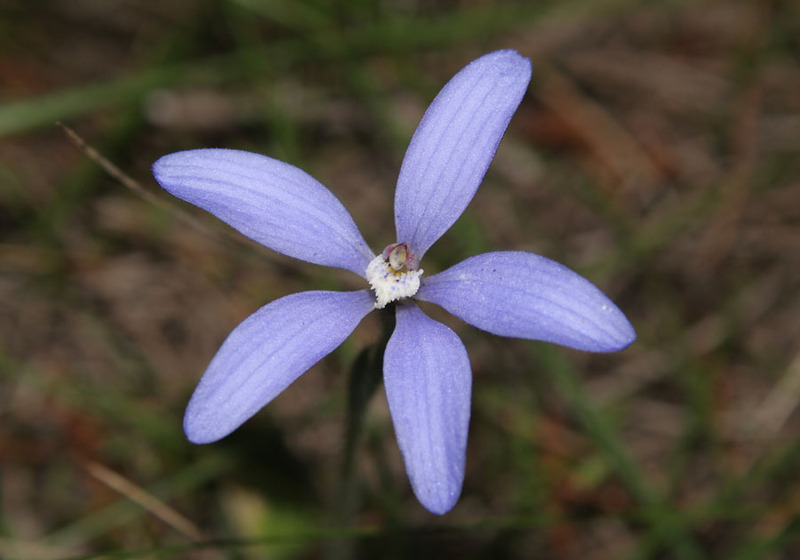 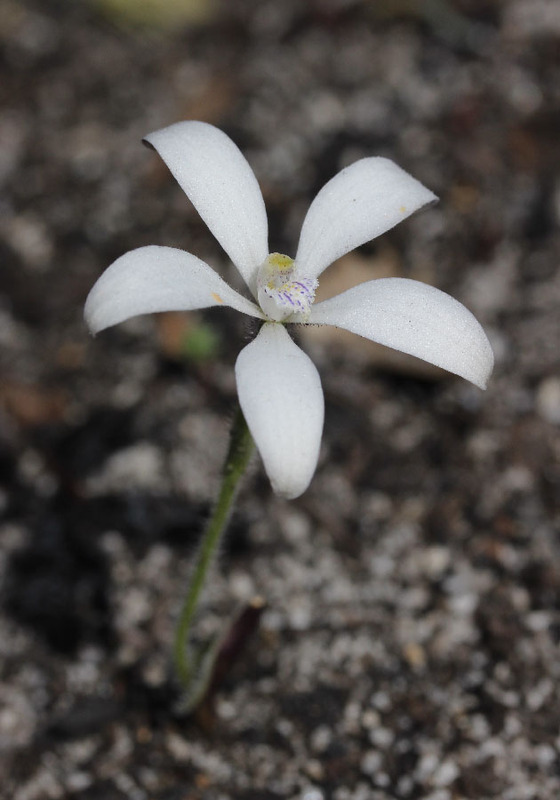 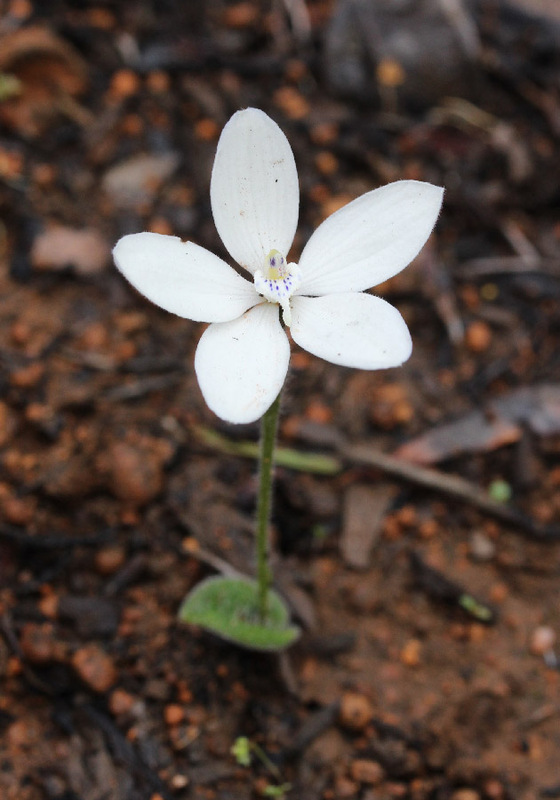 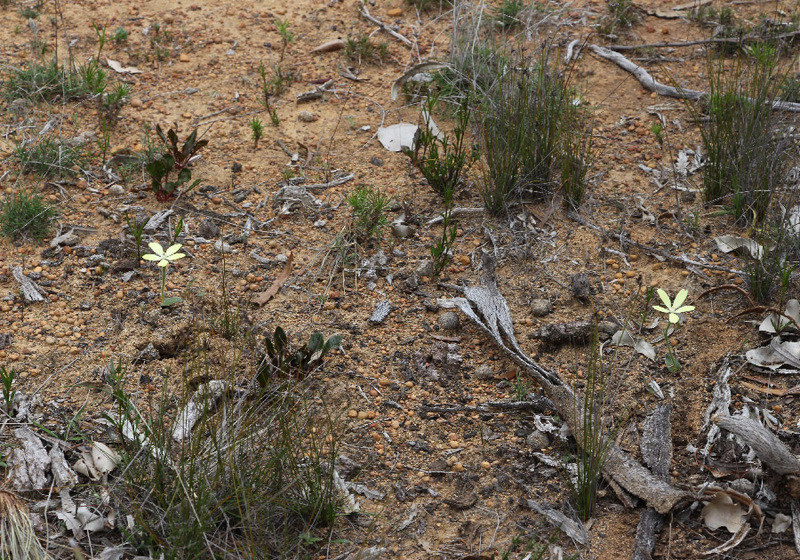 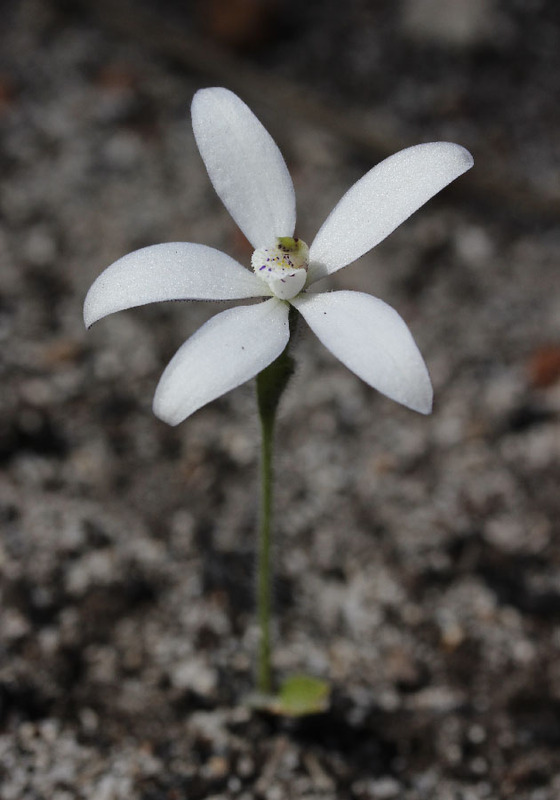 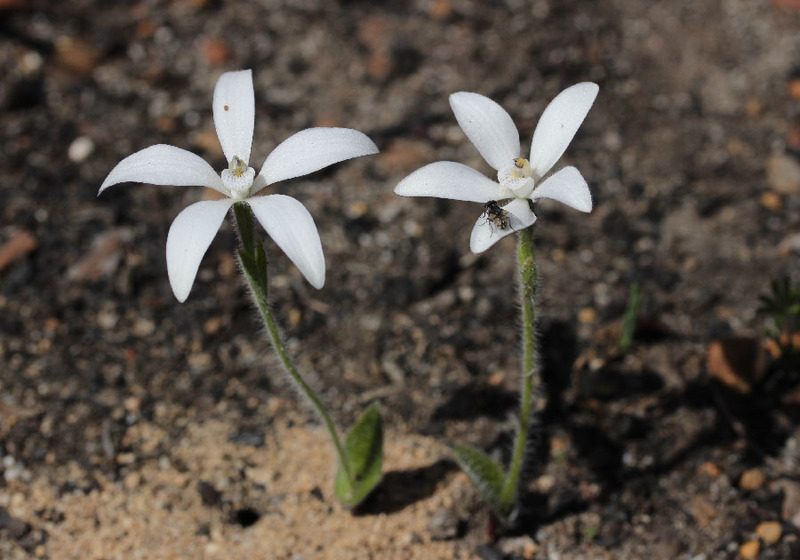 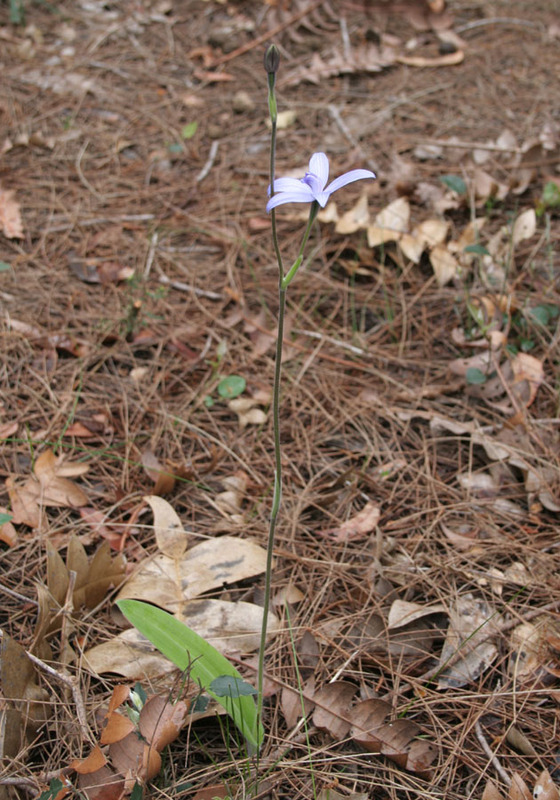 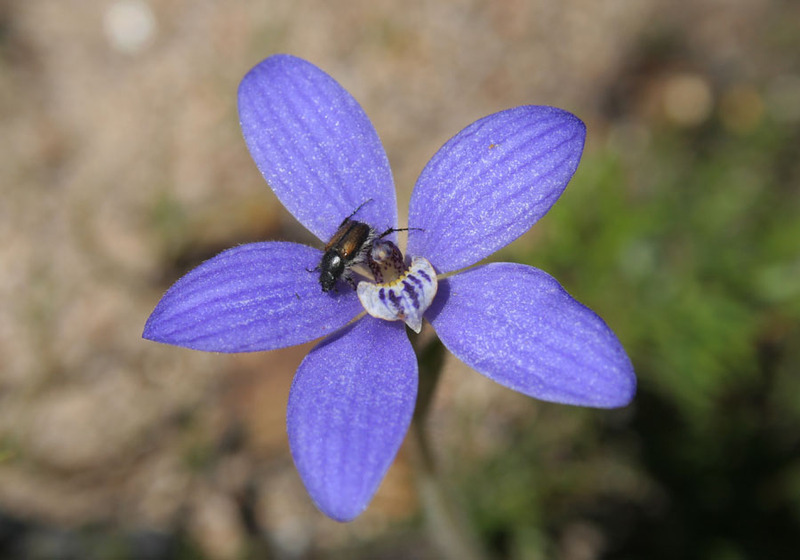 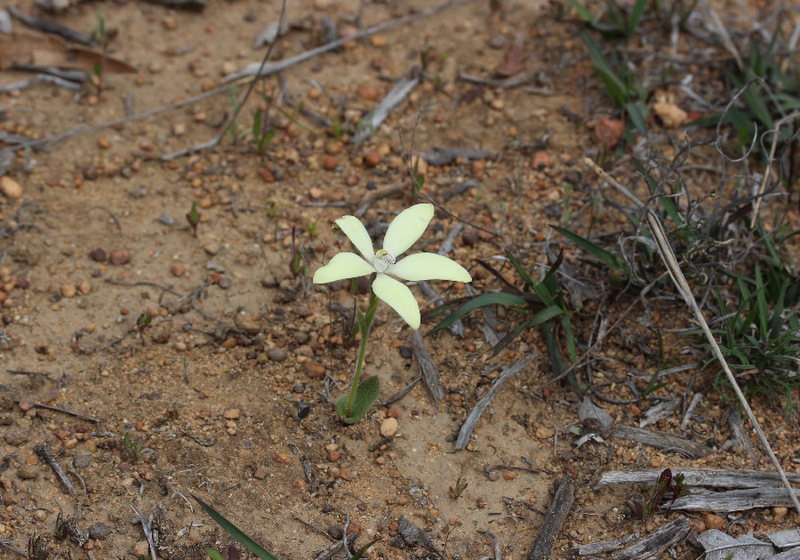 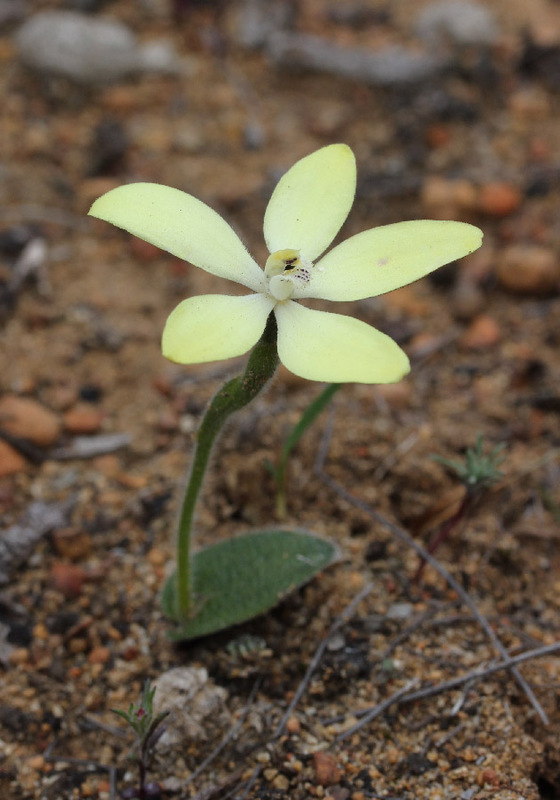 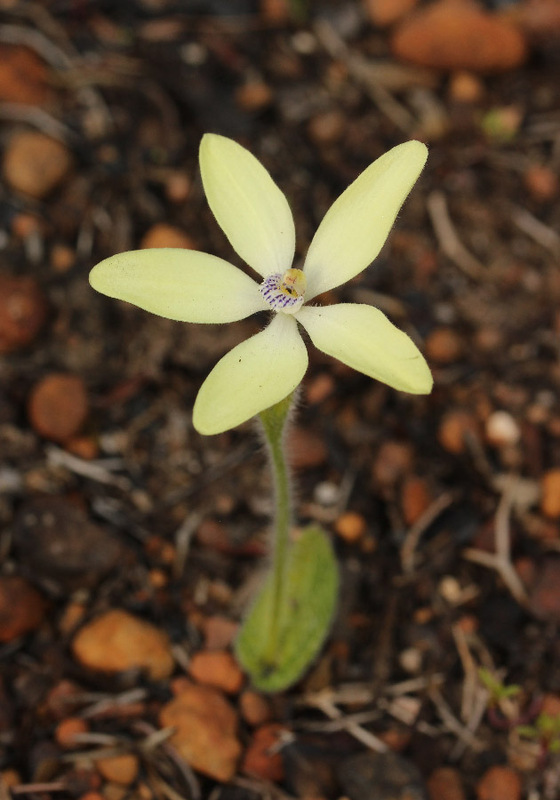 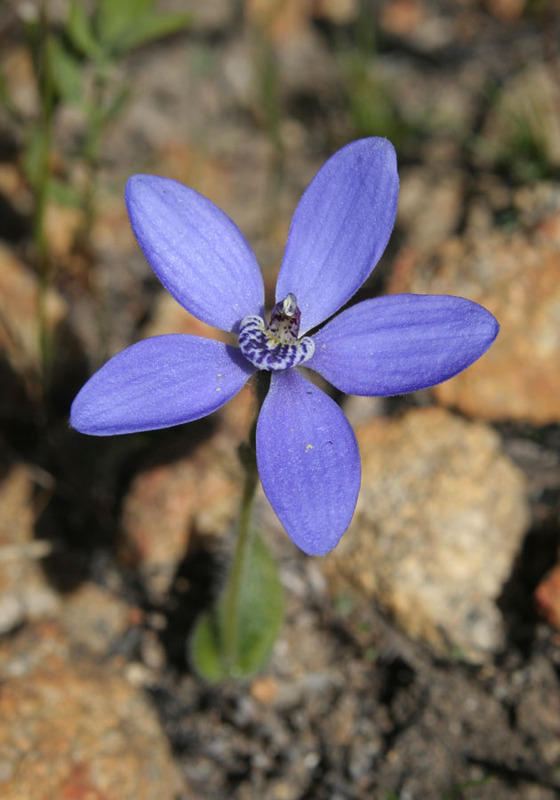 Most specimens of Cyanicula have blue flowers - hence the common name, but there is one yellow (C. ixioides) and one white (C. ixioides subsp candida). 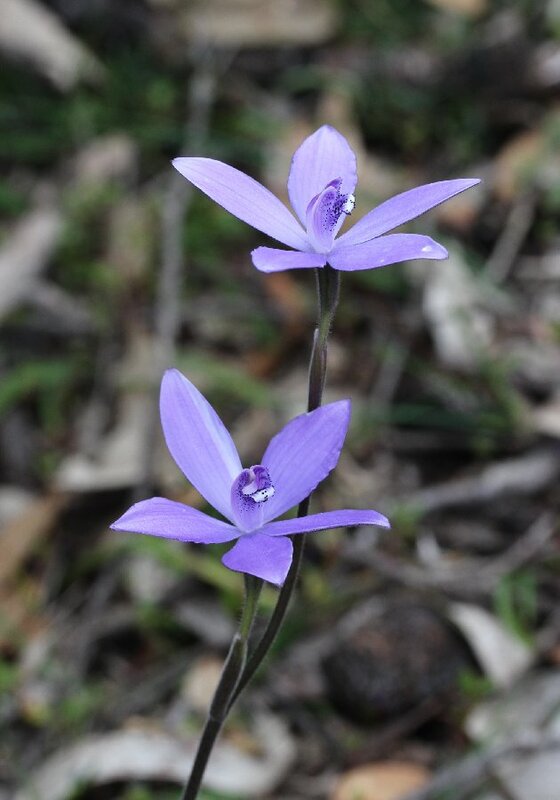 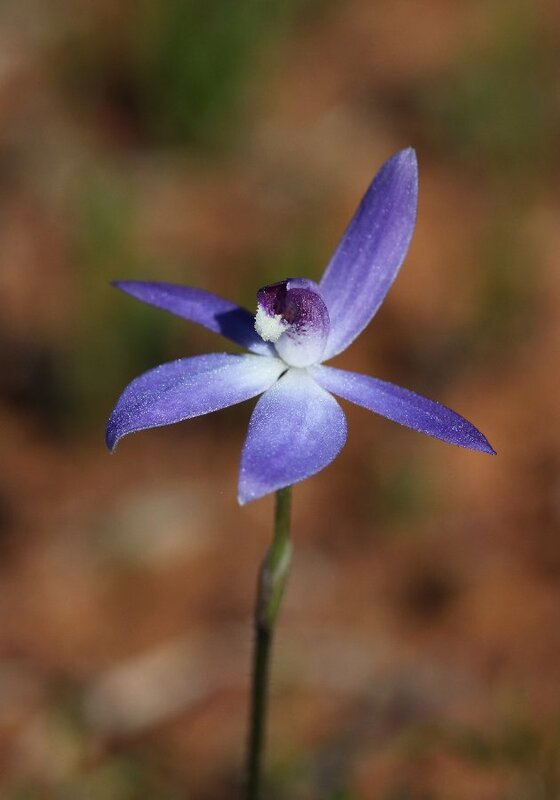 Cyanicula gemmata (Blue China) is widespread between Kalbarri and Esperance and out to the central wheatbelt. 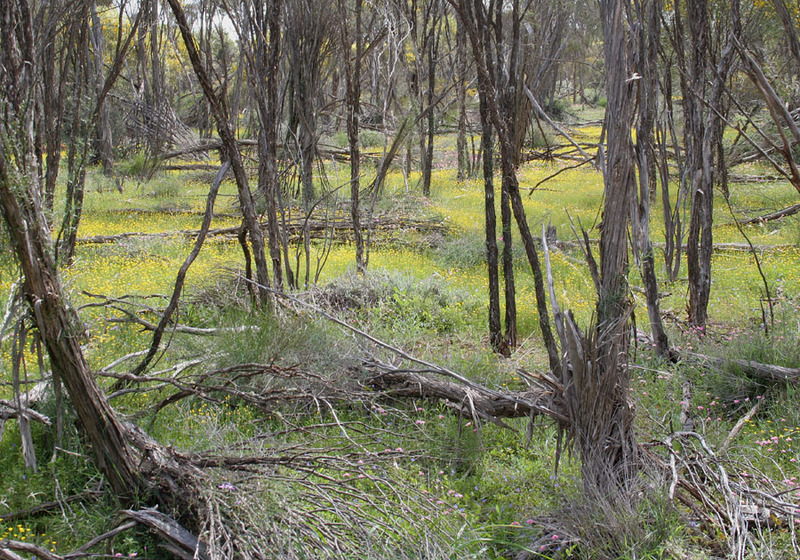 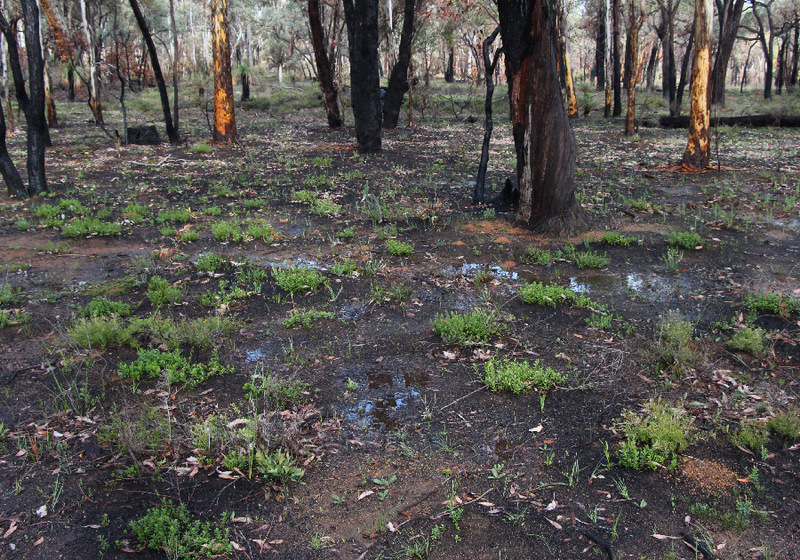 While it does flower in unburnt bushland, it flowers much more profusely in the season following a hot summer fire. 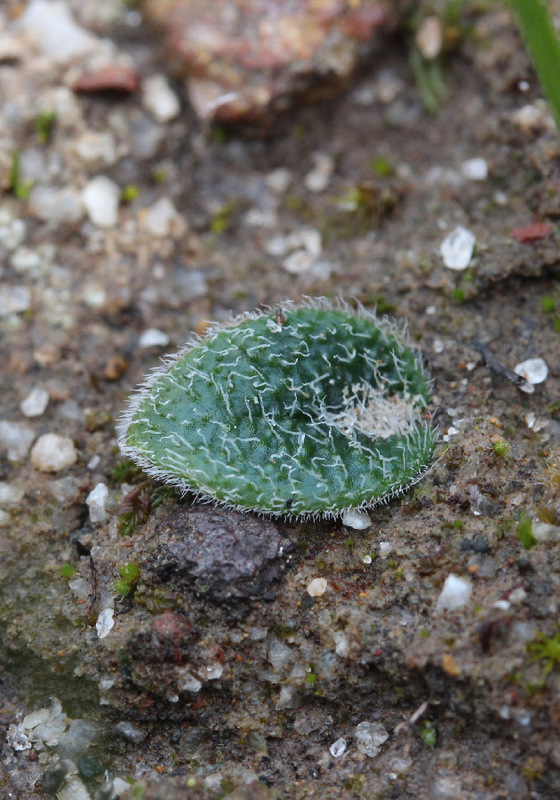 Its leaves are distinguished by being covered in very short hairs. 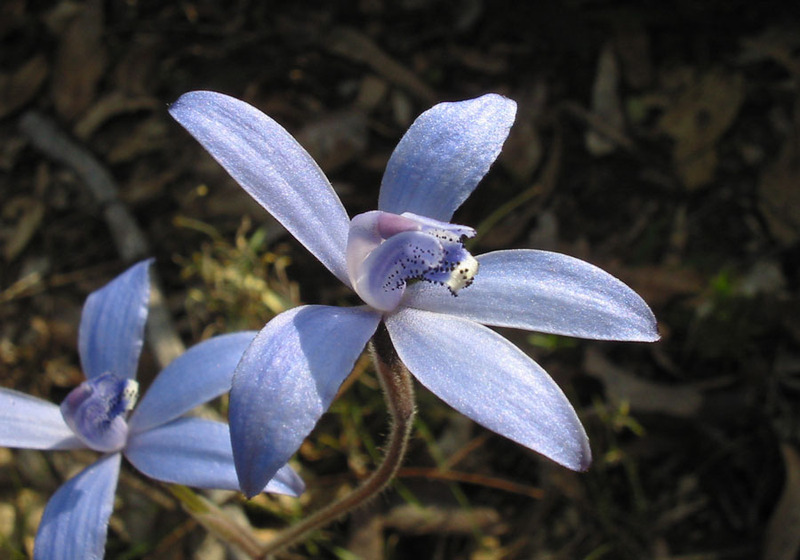 The Yellow China Orchid is pretty much a yellow variety of the Blue China. 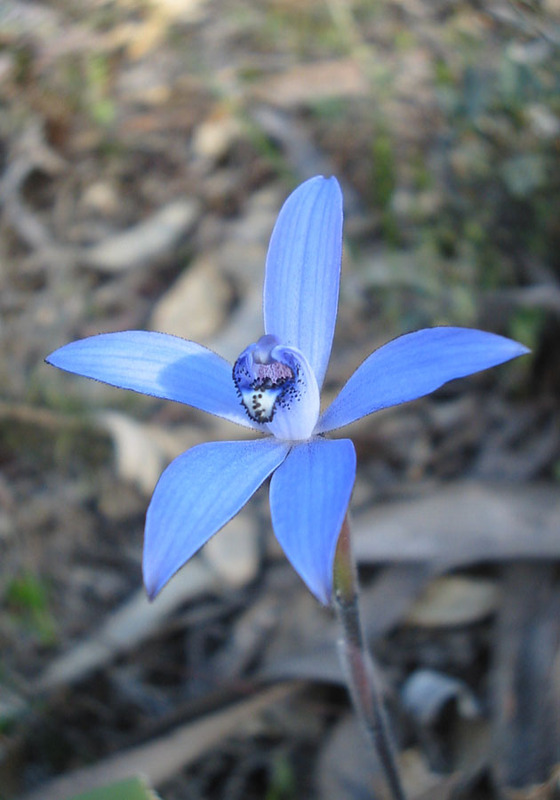 It is mainly found in a smallish area to the east of Perth, but can occasionally be found as scattered individuals wherever the Blue China is found. 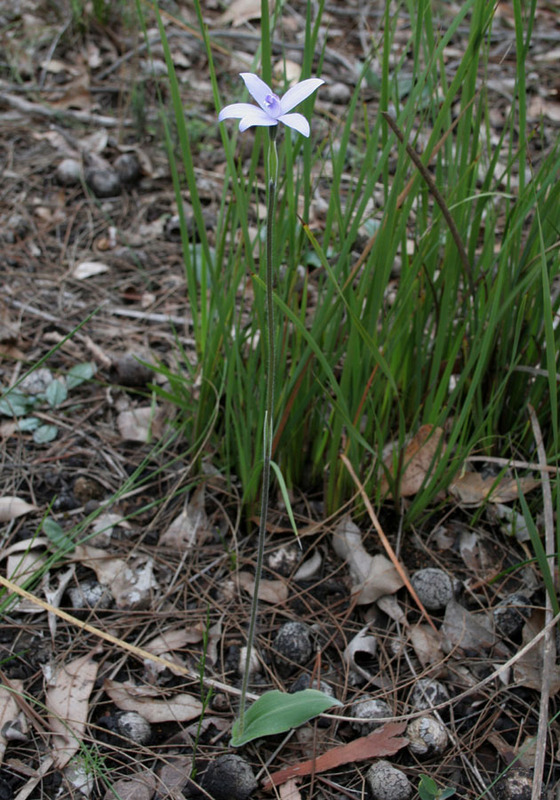 The White China Orchid is the same. 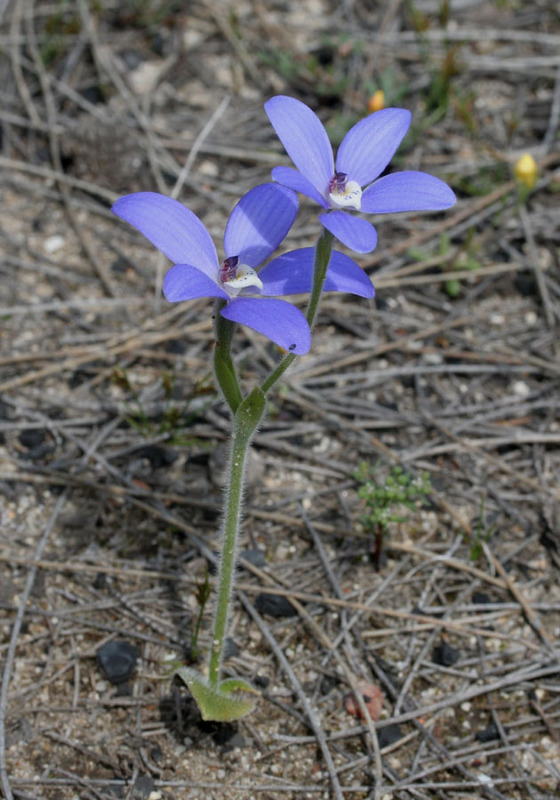 Found in scattered colonies in the hills to the east of Perth and also as scattered individuals elsewhere. 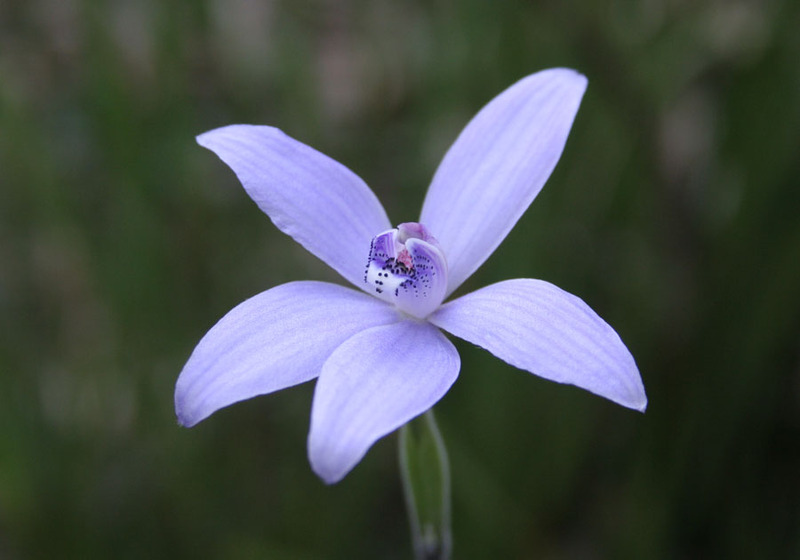 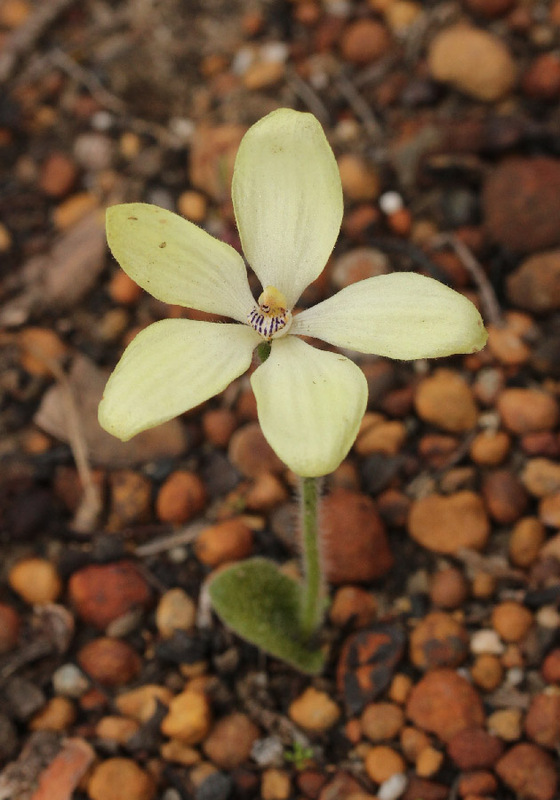 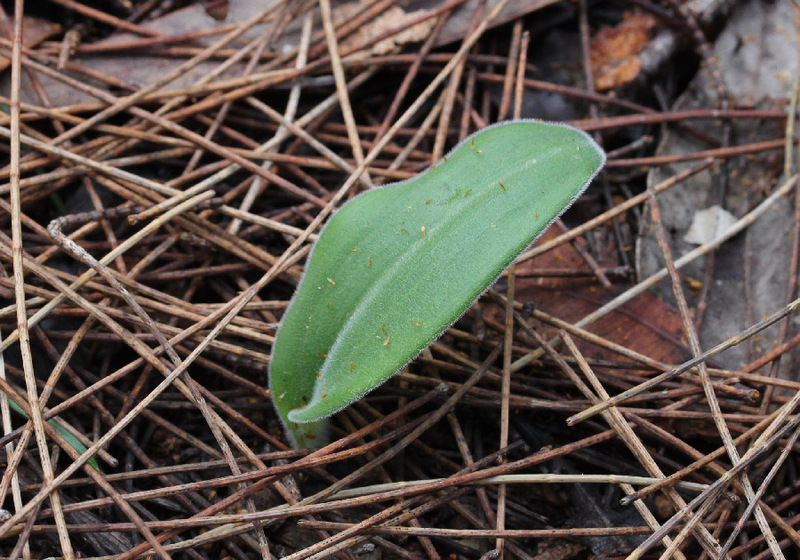 Found throughout the lower south west from Perth to Esperance, this orchid grows to 40cm tall often with a large silky leaf - hence its name. 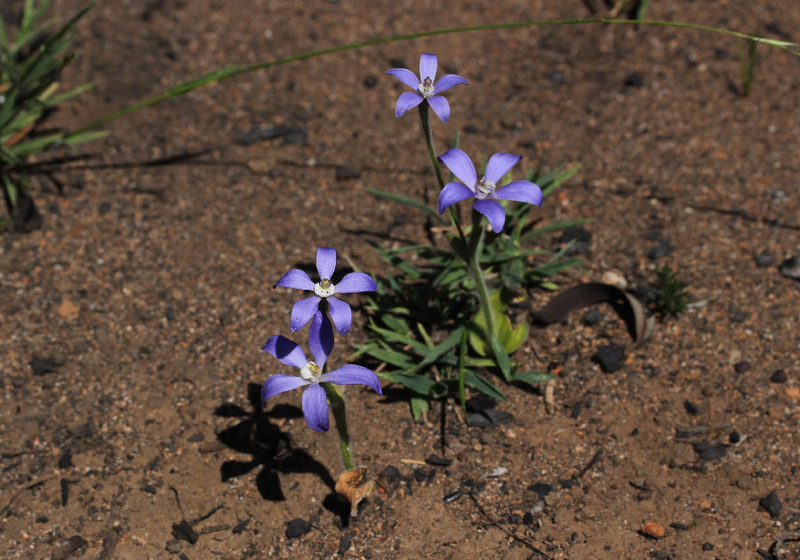 It is usually found as scattered individual plants. 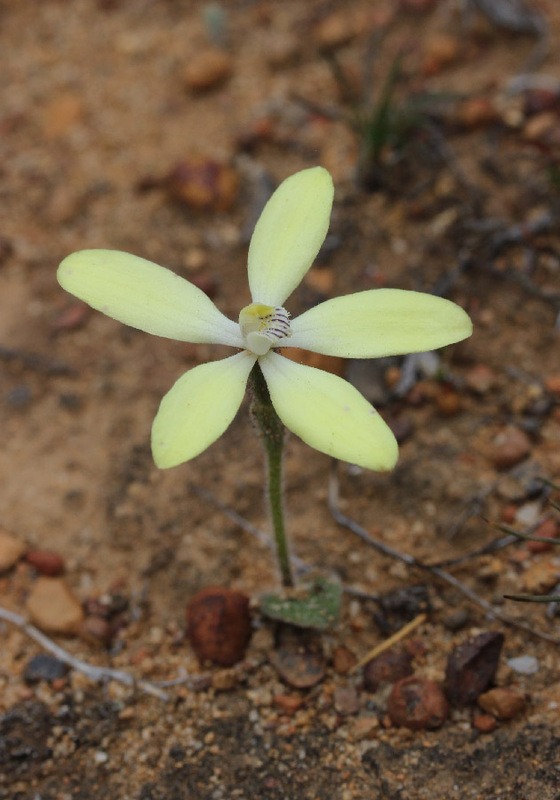 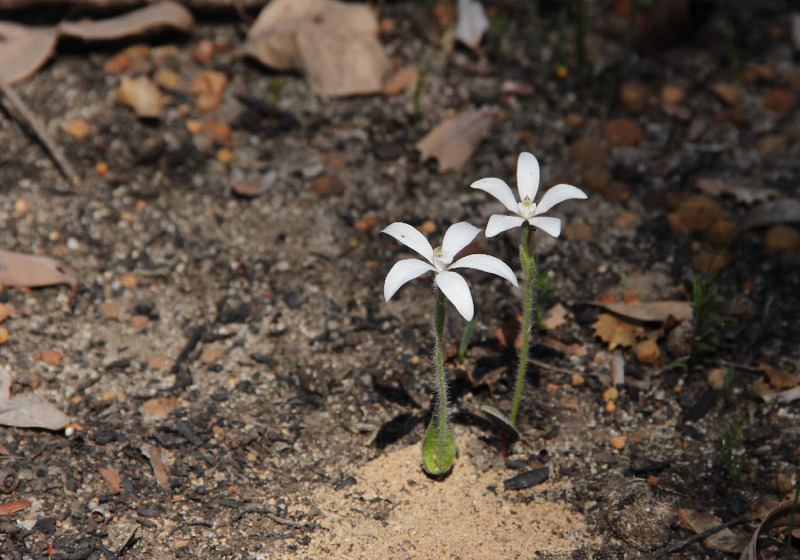 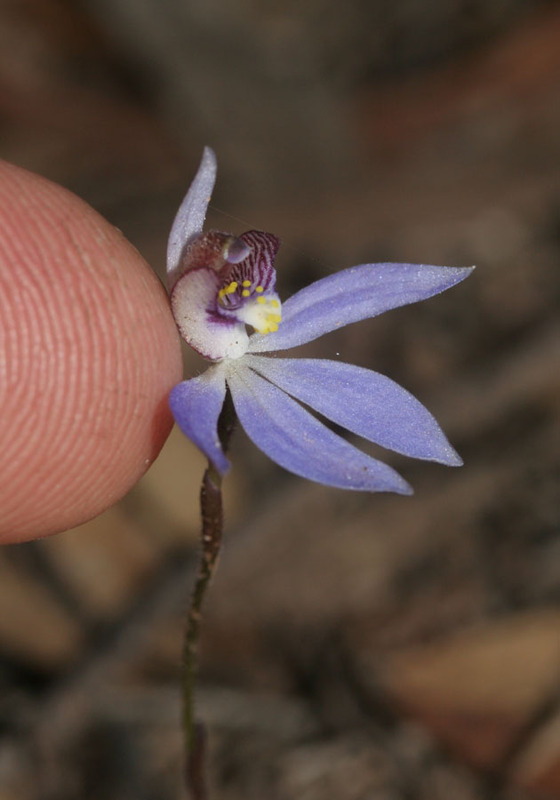 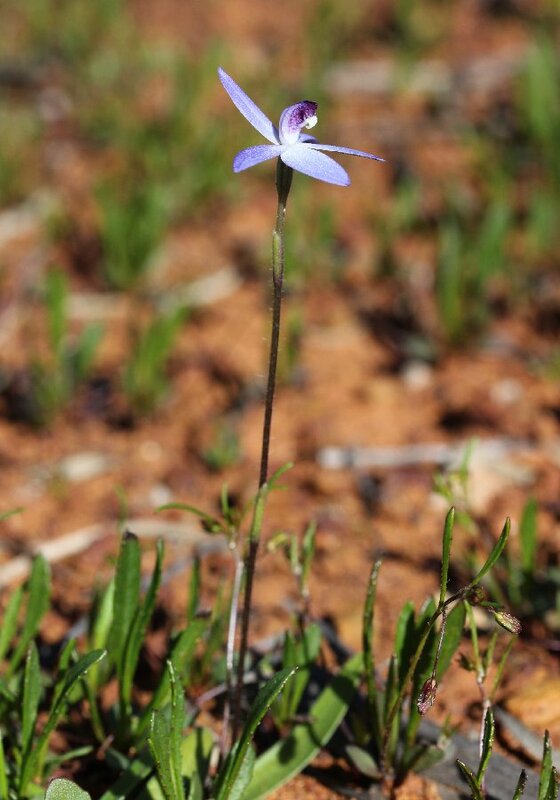 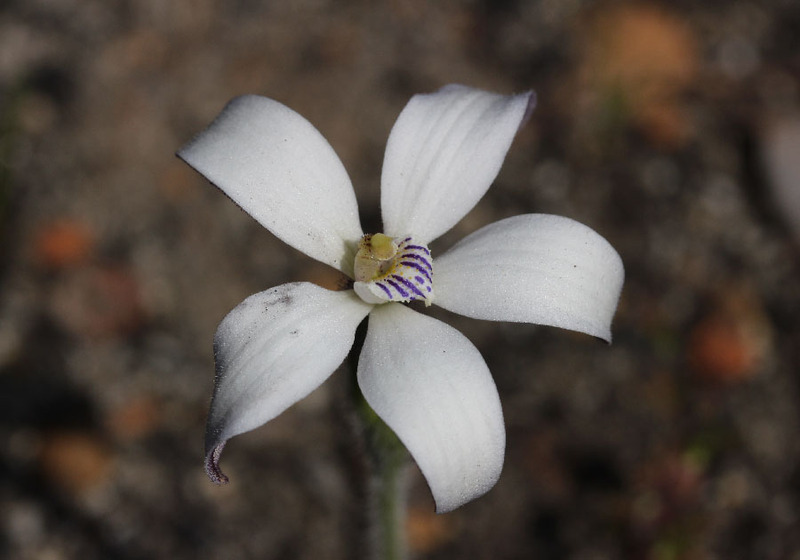 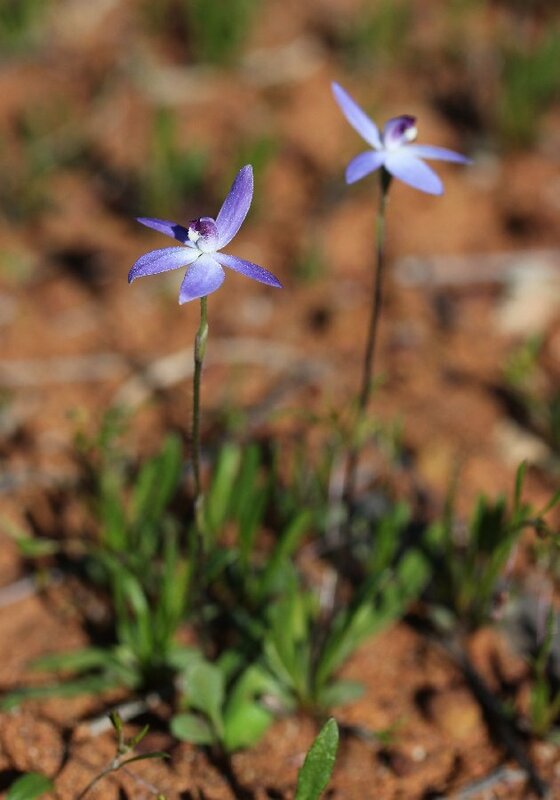 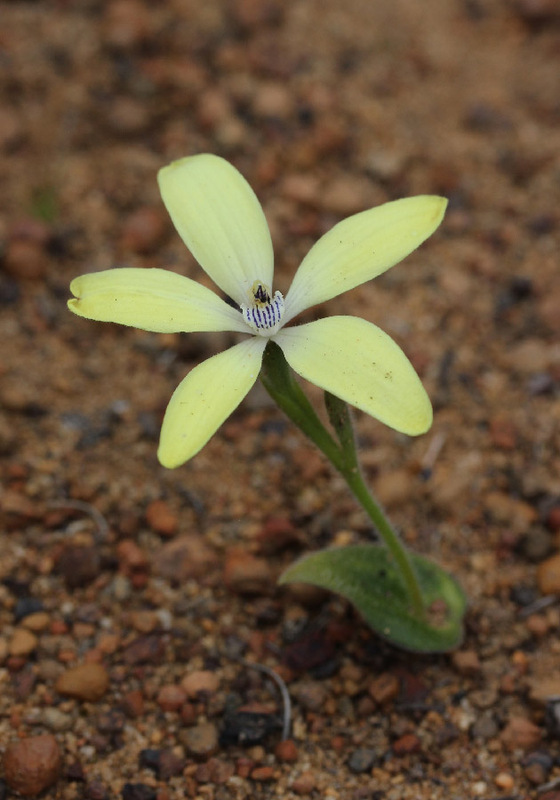 This orchid has small 2cm flowers and is quite common in the central and eastern wheatbelt, growing in a variety of habitats. 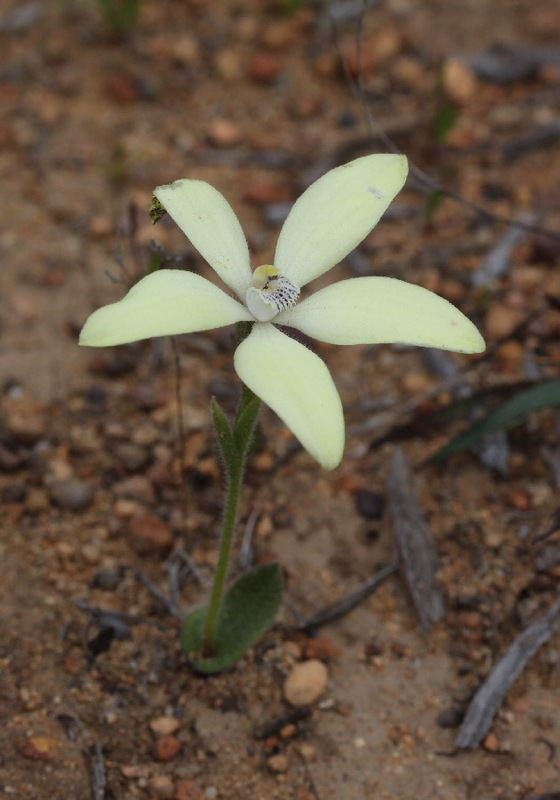 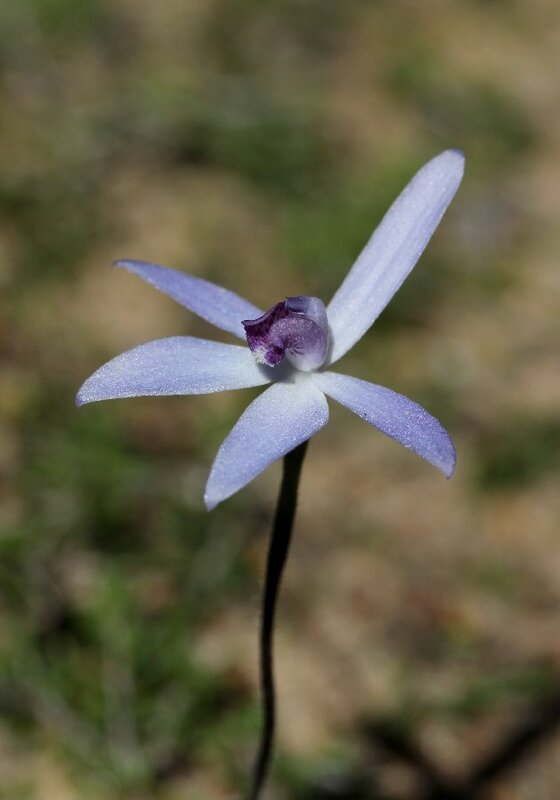 This orchid is quite common in the south eastern wheatbelt. 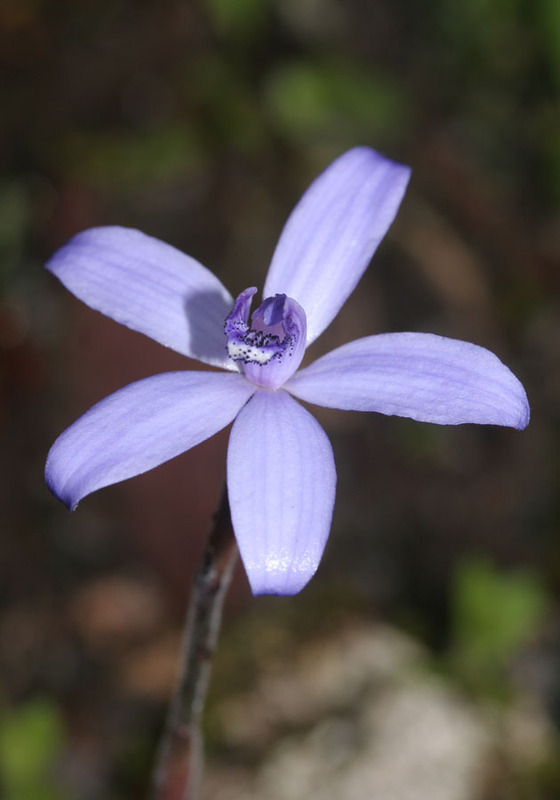 It is very similar to Ericksonella saccharata (Sugar Orchid) in shape and is sometimes found growing with that species. 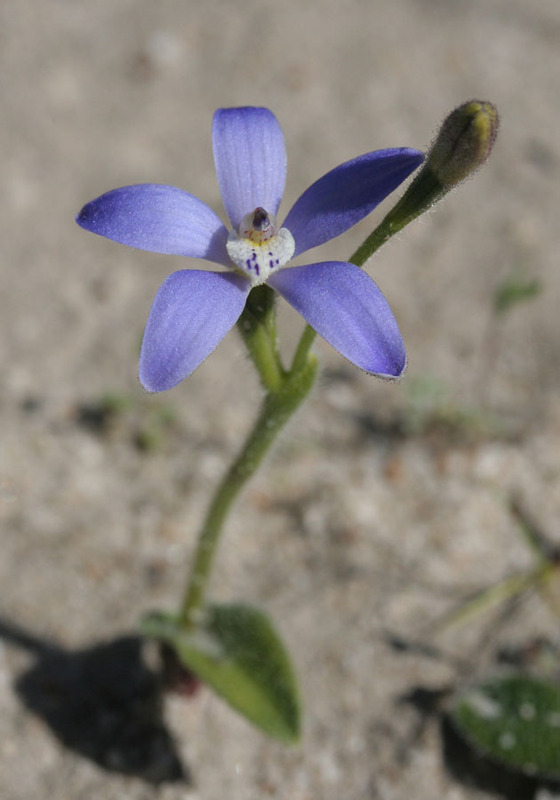 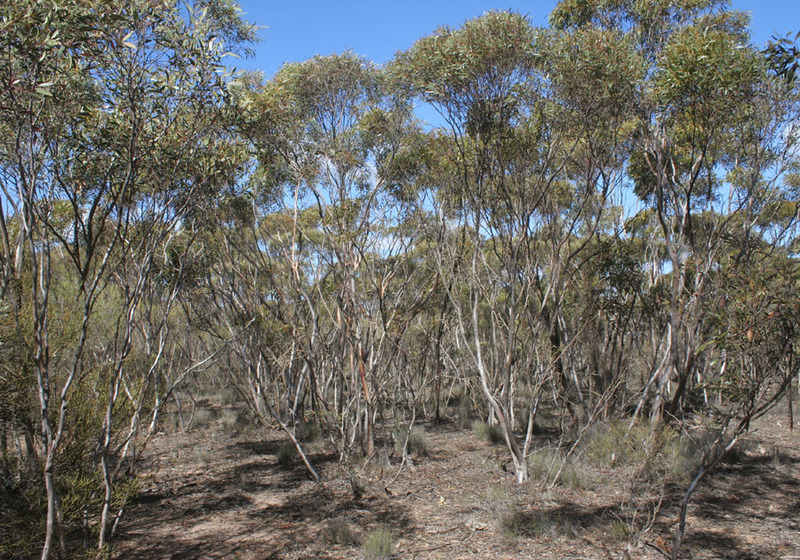 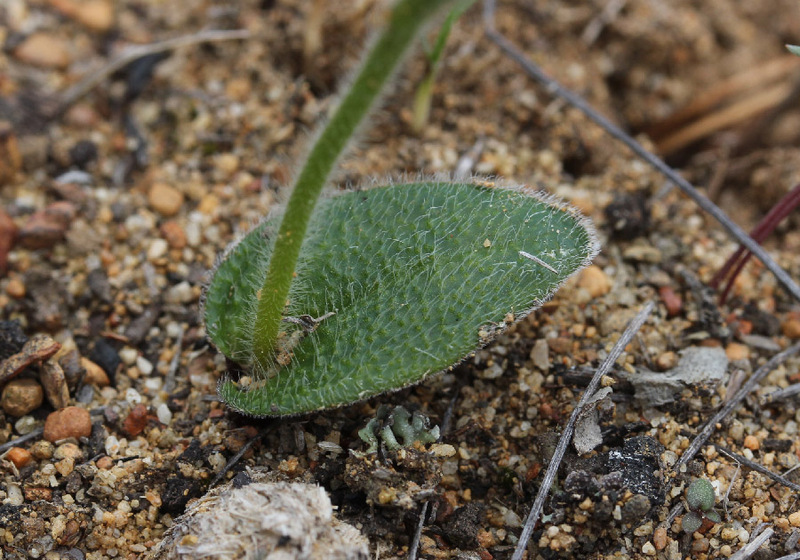 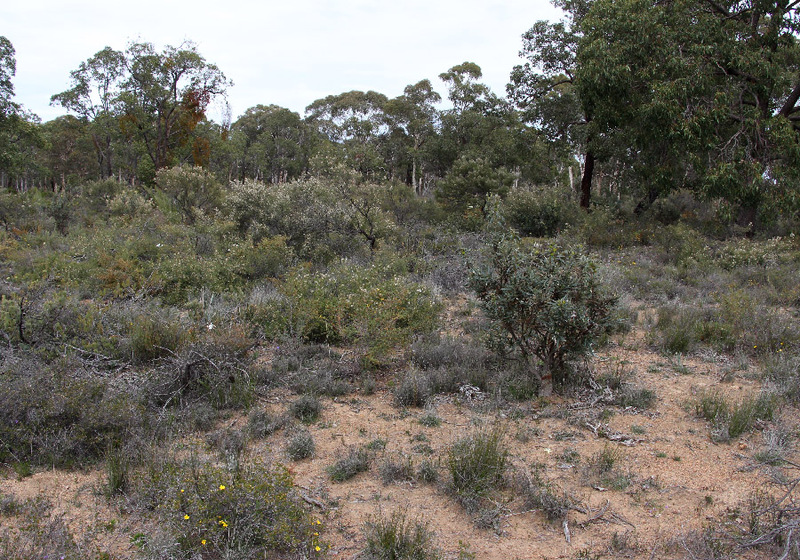 It grows in a wide variety of habitats from dense mallee in gravel to Cassurina thickets in sandy soils.